The 441st MI BN Change of Command is scheduled for 1000 on 19 May at Camp Zama Japan when LTC John Haynicz will take command from LTC Mike Godfrey. (from CPT Travis A. Smith, Deputy S-3, 500th MI BDE) "The Intelligence Support Command (INSCOM) Commander has given our provisional CI Battalion in Camp Zama, Japan the designation of the 441st MI BN Provisional. Unfortunately at this time we cannot tie direct lineage from the 441st MI Detachment to the 441st MI BN Provisional through the official Institute of Heraldry, but the naming of the Provisional BN to the 441st is a start. This unit will be the 441st MI BN Provisional for at least the next two years and then should become a permanent unit. At that time the Institute of Heraldry will determine if we continue as the 441st MI BN or receive a new designation. Thought you and other former 441st guys would like to know that a 441st MI Guidon is once again flying in Japan. The 441st MI BN Provisional is planning on having an unfurling ceremony at Camp Zama, Japan in the coming months and I am sure they would be honored if a former 441st member happened to be in the area and wanted to attend. I will send a firm date once I know. Did the 441st MI Detachment have a crest or insignia?" The relationship between the 219th South Vietnamese Air Force Squadron and the 441st working TDY at MAC-SOG was one of respect. Philippine government and giving it to you'." An early need for Military Intelligence investigators was apparent during the early stages of World War II. Colonel Thorpe, who later became Brigadier General Thorpe, obtained authority to recruit fifteen enlisted men from a replacement center and to train them in a special school which was established at Melbourne, Australia. On 25 August 1944 in Brisbane, Australia, the 441st Counterintelligence Corps Detachment, and one subsection, the 319th Military Intelligence Company, was organized under TO&E 50-500. (It later became the 441st Military Intelligence Detachment (Airborne in 1966). The responsibility for the conduct of counter-intelligence operations within units or agencies of the United States Army in Australia was vested in the Commanding General, USAFIA (original counterpart of the United States Army Pacific). On 20 November 1944 the 441st Counterintelligence Corps (CIC) Detachment was reassigned to the New Guinea campaign with the following missions: Cryptographic and disaffection investigations, ship paneling and allied port security measures including the checking of native craft moving along the coast, investigation of incidents and sabotage cases, and provisions for the general security of installations. The detachment inaugurated a highly effective native police-boy system in cooperation with the Netherlands Indies Civil Administration. These youths contacted village chiefs, led reconnaissance patrols, helped interrogate native suspects, and assisted in special investigations and in maintaining an informant net. 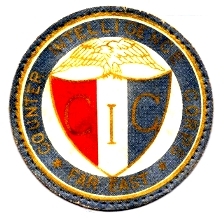 In early 1943, the 441st CIC was activated out of the 5227th CIC Detachment (Provisional) in Brisbane, Australia with approximately 100 agents. These men were spread far and wide from the 32d and 41st Infantry Divisions fighting in the Owen Stanley Mountains of New Guinea to almost every harbor in Allied hands in the Pacific. The agents wore U.S. Army uniforms without rank. When questioned, they responded that they worked directly for the War Department. All 441st members were hand picked either in the States or in Australia. Their initiative and authority was always encouraged by the General MacArthur and his G2. Mr. Edwards' book has extraordinary stories of ingenuity, daring, success and failure of CIC. His book is a fascinating history of the newly conceived counter intelligence effort of the Allies. The CIC exploits in the Pacific were "invented" out of experience and necessity. This chronicle of America's greatest generation in its greatest test of war is more than history. It is a lesson for today in military-political leadership during times of international challenge. Duvall A Edwards is a unique man: trial lawyer, counter intelligence expert, writer and adventurer. His superb books are still available. The balance of the New Guinea campaign saw a repetition of o previous actions by the 441st. The detachment landed at Noemfoor Island, Sansapor, New Britain, and Morotai. On the eve of the invasion of Leyte Gulf, the 441st could look back on ten months of 1944 during which its officers, agents and other CIC detachments from other units had functioned in staging, combat, and post-operational phases with 15 divisions, one special task force, one regimental combat team, four corps, and two armies. On 13 March 1945 operations of the 441st Counterintelligence Corps Detachment in the Philippines commenced with the attack on Leyte Province. More than 20 CIC Officers,and Agents, in addition to attached Filipinos, landed on D-Day with elements of the 6th Army, and 24th Corps, 7th, 24th, 96th and 1st Cavalry Divisions. The civilian situation in Dulag was critical and the detach­ment spent the first few days interrogating persons in the civilian enclosure. Considerable time was also spent contacting guerrillas and gathering tactical and counterintelligence information. A meeting with representatives of the Philippine Commonwealth resulted in all potential political appointees being checked by CIC prior to their appointment. This clearance procedure included all constabulary personnel and municipal officials, thus giving CIC, at the outset, firm and reliable control over appointees. Experience gained in Leyte made the CIC better prepared than ever for the ensuing operations on Luzon and other islands of the Philippines. The first CIC personnel landed on Luzon, D-Day, 6 January 1945. Within three hours after the initial assault, troops had forged a beachhead along Lingayen Gulf Coast of Panagasenan Province. By D-Plus-2, nine CIC combat detachments with a complement of 22 officers, and more than 100 agents, exclusive of attached Filipino personnel, were in full operation. As in the Leyte Campaign, control of the movement of civilians was a major problem. CIC road­blocks established at strategic points proved an effective means of screening natives and provided a safeguard against infiltration by Japanese soldiers impersonating as Filipino civilians. CIC operations spread from island to island in the Philippine chain as the activity of the corps mush­roomed. During March 1945, under combat conditions, 4,140 security cases were handled. The majority of the cases were possible collaboration and loyalty checks for prospec­tive Philippine officials. For gallantry in action and meritorious service rendered to tactical units with whom they were assigned during all cam­paigns up to and including the Philippine campaign, officers and agents of the CIC were awarded two legions of merit, two silver stars, forty-six bronze stars, one soldier's medal and thirteen purple hearts. As the Philippine campaign drew to a close, attention was focused on the CIC, because, for the first time, American forces would be coming into direct contact with Japanese citizens in their homeland. The battle of Okinawa opened with the initial assault on 1 April 1945. Fourteen CIC agents lost their lives in support of the Okinawan operation. Overall, the CIC conducted its mission with great skill and appreciation of the poten­tially explosive situation on Japanese home territory. Training and planning were under way for CIC participation in operation "Olympic" and "Coronet", the invasion of the Japanese homeland, when VJ-Day came. Armies, corps and divisions that were geared for combat moved into Japan to occupy it peacefully. CIC detachments accompanied the tac­tical units into mainland Japan, but their mission was not clear, since no one knew how the Japanese public would react to the American occupation. The 80th Metropolitan CIC detachment landed at Yokohama on 2 September 1945 and advance elements of the 441st CIC detachment on 15 September 1945. The 441st CIC detachment entered Tokyo and officially set up headquarters. On 26 September 1945, I Corps units landed at Wakayama, accom­panied by a CIC detachment which moved into Osaka, Kyoto, Nagoya, and other Japanese cities. By 1 November 1945, it was apparent that the occupation was to be peaceful, and CIC detachments were detached from combat units and set up on a regional and area basis. At the end of World War II, the 441st Counterintelligence Corps (CIC) Detachment was assigned to Japan. Along with the 319th MI Company, the 441st proved to be the most important operating agency of the Civil Intelligence Section. These two organizations formed the major investigating agencies in the field. The missions included: covering foreign espionage, treason, sabotage, sedition, subversive actions, security violations, and any act inimical to the policies of the occupation forces. Early occupation problems were caused by the wide, pendulum­like swings which occurred in the power of CIC. When an incident took place, extremely restrictive directives were issued on a case by case basis. Finally, the organization was able to compile and publish a policy guide which enabled the lower echelons of the CIC to become thoroughly knowledgeable in official policies on a wide variety of subjects. In the interests of efficiency, and to prevent overlapping with other agencies, activities of CIC were limited to: surveillance of subversive activities, individuals, or ideological movements, national or foreign, that had an adverse effect on the purposes and objectives of the occupa­tion; and to intensify security surveillance under the general intent of counter espionage. This clarification of the mission eliminated an unaccountable number of crim­inal investigations and other irregularities, not of a counterintelligence nature, with which CIC had found itself involved. While the basic plan of having a CIC unit in each prefecture had remained constant, administrative control of such units was maintained at Corps level. When I and IX Corps were located in Kyoto and Sendai, CIC had its regional headquarters in the same cities. The reorganization of the CIC from a combat support unit to an occupation agency took considerable time since frequent rotation of personnel caused by demobilization reduced the overall continuity of the unit's effort. Such personnel turmoil necessitated extensive procurement and training of inexperienced personnel. Major problems included the standardization of operating procedures and centralization of operational control. Based on long personal contact with individual tactical commanders and G2s', the CIC had considerable difficulty in interpreting directives from higher and more remote commands. With the planned deactivation of the two corps' headquarters, the CIC regional headquarters were eliminated and liaison officers temporarily placed at corps headquarters pending the deactivation. The existing CIC districts, formed during the major reorganization of September 1948, evolved as major subor­dinate headquarters. At first there were seven districts. First District included the island of Kyushu and part of southern Honshu, an area which roughly comprised the area of operations of the 24th Infantry Division. Second District included part of southern Honshu and the island of Shikoku, an area generally under the control of British Commonwealth occupation forces. Third District covered south‑central Honshu in another area controlled by the 24th Infantry Divi­sion. Fourth District took in that area of Central Honshu controlled by the 1st Cavalry Division, less the Tokyo metropolitan area and Kanagawa (Yokohama) prefecture. Fifth District controlled northern Honshu while Sixth District supervised the island of Hokkaido; both of these areas were under the control of the 7th Infantry Division. The 7th, known as Tokyo‑Kanagawa District, operated in close con­junction with Headquarters, 441st, until September 1949 when the District was split into two areas. Later these two areas became the 7th and 8th Districts, respectively. Under each of the first five districts, there was one counterintelligence corps area, corresponding to each prefecture in the district. In Hokkaido, which was regarded by the Japanese as more a territory or colony than a prefecture, sixth District main­tained offices in the principal cities. In March 1951 there were eight districts and 50 CIC areas or sub-areas. After considerable study, an overall reorganization of the 441st CIC detachment was completed, using TO&E 30‑500, with change 3, dated 15 September 1948. This reorganization was finally approved by the Department of the Army, and became effective 1 March 1950 under authority published in General Order 16, Headquarters, and Service Group, GNQ, FFC, dated 24 February 1950. Carl Diehl's memories of Memorial to DooLittle's US Airmen ("Thirty Seconds over Tokyo") at 441st CIC (former Kempei Tai) Headquarters in Tokyo. See web page . Late in 1949, with the world situation becoming increasingly less encouraging, Colonel Lawrence G. Smith, Commanding Offi­cer of the 441st, directed that plans be made for intensive combat field training. The training was divided into three phases: Individual basic CIC training to instruct new personnel, and retrain experienced personnel in CIC combat operations; field training for provisional combat teams; and finally, actual participation in field maneuvers with tactical units. III. HISTORY OF THE 441ST COUNTERINTELLIGENCE CORPS DETACHMENT DURING THE KOREAN CONFLICT. At the outbreak of the Korean War, the 441st CIC Detachment was called upon to furnish combat CIC detachments to accom­pany the tactical units moving into Korea. Throughout the summer of 1950, many elements of the 441st were success­fully dispatched to Korea with several subsequently seeing action during the Inchon Landing. Four additional detach­ments were organized in those hectic first 15 days of the Korean War. On 4 July 1950, a CIC detachment reported to the 2d Logistical Command. Another CIC detachment left on 7 July 1950 with the 25th Infantry Division. On 10 July 1950, a CIC detachment reported for duty with the 1st Cavalry Division, while another CIC detachment went to 8th Army Headquarters. Three more detachments were organized in August 1950, and on 4 August 1950 a CIC detachment joined the 1st Marine Division. The Far East Command Liaison Group, later organized as a CIC detachment, was ready for duty on the 10th of August, and a CIC detachment joined I Corps Headquarters on 31 August 1950. Experiences in Korea re­vealed that much still remained to be learned concerning CIC activities in combat, particularly in the areas of personnel and equipment utilization. Many unofficial, and sometimes frantic suggestions emanated from the 441st de­tachments in Korea, particularly concerning equipment. Due to hostile activity, individual agents, normally equipped with a .38 Caliber Snubnosed Revolver, were quickly asking for M-2 Carbines and even machine guns. Other suggestions were made concerning additional equip­ment, or modification and/or elimination of certain mate­rial which was not compatable to the Korean situation. To further remedy the situation, CIC units in Korea were di­rected to maintain contact with the 441st CIC detachment and to forward reports of activities and recommendations for changes in equipment to the 441st. While the 441st supplied replacements to augment certain detachments in Korea, it continued to maintain it's nation­wide surveillance of Japan to guard against the development of any possible subversive activity. With the approach of the armistice in Korea, the 441st CIC detachment was called upon to play a part in one of the most unique operations in it's history: The exchange of prisoners of war between the United Nations Command and the Communist Forces. There were two phases of this opera­tion: "Little Switch" - the exchange of 149 sick and wounded American prisoners of war in April and May 1953; and "Big Switch" - the exchange of 3,629 American prisoners of war in July, August and September 1953. During the processing of recovered UN Forces Personnel, CIC's mission was to collect information of counterintel­ligence interest. 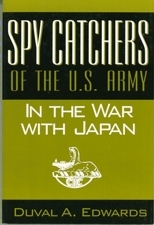 When the "Switch Operations" were con­cluded, the 441st resumed operations in its primary mission in Japan, the surveillance of all subversive individuals and groups, both national and foreign, whose presence was a threat to the US‑Japan Security Pact, and whose ideas were inimical to the best interests of the United States and the United Nations. With the signing of the Japanese peace treaty in April 1952, CIC found itself in the position of being a foreign intel­ligence agency in the territory of a friendly power. Former occupation troops were suddenly the guests of Japan. It was of paramount importance that CIC convert itself from the role of an occupation authority to that of a friendly, tactful, helpful allied intelligence agency. CIC units, therefore, accompanied the former occupation troops in their withdrawal to specified military bases and installations. Additional history commentary from Jim Cate JCate4@cs.com : "I served with the 441st CIC in Tokyo, Japan, from January 1957 until its reorganization in March of 1958. I served in the Counter Espionage - Soviet. The Korean War was over in the early 1950s. In 1958 there was a general reduction of military personnel worldwide. The 441st CIC encountered a major reorganization in approximately March of 1958 (Need to consult my orders and records for detailed information.) It was reduced to 36 people and was officially known as the 36th Detachment. Most married personnel with dependents were returned to the US for other assignments. The single or unmarried personnel such as myself at the time were mostly reassigned to the 308th CIC in Seoul, Korea. I was in the group sent to Korea to complete our military term of duty. I personally know many of the persons that remained behind in Japan as a part of the 36th Detachment. In fact my former Holabird classmates, Roger Hart and Will Callihan, were retained in Japan as a part of the 36th. I made a couple of trips from Seoul, Korea back to Japan somewhat as a liaiaon between the 2 units and some continuing activity in some open intelligence cases. I still have an order listing all the names of the personnel in the 441st at the time of its reduction or reassignment. I note Col. Rainford was listed as the CO. He finished his tour of duty and returned to the US in 1958. LTC Hontoon (? spelling) the executive office assumed the position for the short period of time until the 36th was established. 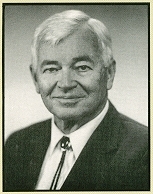 Ed Meiser, S-4, was then the ranking officer under Hontoon. Ed is still alive and lives in NY State. I am in constant contact with him. I would like to contribute more to this history after some more careful review of records. If I can be of specific assistance, please advise. I shall be most happy to assist. In Japan the 441st was unique. McArthur had CIC with a wide range of authority. This continued until the reorganization. The CIC did much of the work that the CIA would normally do. When the "phasedown" occurred, much of the CIC activity was turned over to the CIA. The CIC in my years in Tokyo targeted the Soviet Embassy. We even ran a number of "defection" operations. Our best agent was often "followed" by CIA personnel in attempts to learn his sources. He was the best in the business. He is now in his early 80's having been at Pearl Harbor on December 7 and ending up WWII being shot down as a bomber pilot over Germany and captured. He now lives near Ft. Huachuca in retirement. I visited with him on January 5, 1999 and then went on the visit the MI Museum at Ft. Huachuca. His "right hand" fellow agent now lives in Los Angeles. Incidentally, I served as President of the National Counter Intelligence Corps Association in 2000. Currently, I am Vice Chairman of this organization." The end of the Korean conflict saw the 441st CIC Detachment deactivated. However, in January 1962, with tension increasing over the developments in Southeast Asia, the 441st Intelligence Corps Detachment was reactivated and assigned to the United States Army, Ryukyu Islands, Okinawa, and further assigned to 1st Special Forces Group (Airborne), 1st Special Forces, Okinawa. The Detachment's mission was to train, assist, and advise indigenous military personnel in developing a mili­tary intelligence capability, and to provide military Intel­ligence support to the counterinsurgency force structure. The 441st Intelligence Corps Detachment was also assigned as a member unit of USARPAC's Special Action Forces (SAF). From 1962 through 1972, the 441st was not assigned to the war in Vietnam as a complete unit; however, a num­ber of personnel were attached in support of the intelli­gence activities conducted by the 5th Special Forces Group in Vietnam. From January through May 1963 personnel of the Detachment presented intelligence instruction to the 1st Special Forces Group (Airborne) operational detachments as part of their pre‑deployment training in preparation for assignment in the Republic of Vietnam. During November and December 1963, members of the detachment began debriefing "A" and "B" detachments of the 1st Special Forces Group (Airborne) as they returned from TDY assignments in the Republic of Vietnam. It was felt that these debriefings would enable members of the 441st detachment to acquire a more comprehensive knowledge of "A" and "B" detachment activities and problems in the Republic of Vietnam, so that more effective and pertinent instruction could be presented to deploying detachments. The first-hand, cur­rent intelligence information derived from these debriefings also assisted the 441st Intelligence Corps Detachment in preparation for the deployment of‑operational intelligence teams into the Republic of Vietnam. In addition to the pre-deployment training and debriefing of "A" and "B" detachments, the unit participated in re­searching, preparing and maintaining area studies of Southeast Asian countries with emphasis placed on Special Forces areas of operation in the Republic of Vietnam. From 1962 to 15 May 1972, personnel from the unit also supported the USARPAC Intelligence School on Okinawa by writing and teaching intelligence subjects. On 12 August 1964 under the provisions of General Order 150 Headquarters, United States Army, Pacific, personnel in all slots of the 441st Detachment were placed on airborne status. During the period 1 January 1963 through 31 December 1965, the 441st Intelligence Corps Detachment continued in its primary mission of assisting the 1st Special Forces Group (Airborne), 1st Special Forces in their intelligence plan­ning, and operations, as well as providing operational as­sistance to those interested agencies engaged in intelli­gence activities and operations. The month of March 1965 saw the first concentrated efforts to organize, place, and operate personnel of the 441st Intelligence Corps Detachment in the Republic of Vietnam as an integrated intelligence team. This was the first time that any tactical intellignece unit was committed to the conflict in Vietnam. Se­lected personnel composed an intelligence team which de­parted Okinawa for a period of 180 days TDY. Upon arrival in the Republic of Vietnam the were attached to the 5th Special Forces Group (Airborne and located in various portions of the country. Intelligence operations commenced with emphasis on accurate and timely processing of infor­mation received. Certain field agencies that had previously had only vague indications of impending actions now had centralized facilities, manned by trained intelligence personnel who processed, analyzed and disseminated vitally needed intelligence. On many occasions, this arrangement resulted in accurate predictions of when, where, and how an attack could be expected to take place. For their infantry actions in the Republic of Vietnam, and their exposure to hostile fire, all members of the team were awarded the combat infantryman's badge. In addition to being awarded the combat infantryman's badge, members of the team were awarded one bronze star, seven air medals, and ten army commendation medals. Other awards for other detachment personnel on different missions in the Republic of Vietnam consisted of one bronze star, two air medals, and two army commendation medals. In addition to the Republic of Vietnam, personnel from the detachment participated in operations and exercises in the Republic of China and Thailand. These assignments included specialized intelligence operations as well as mobile train­ing teams (MTT's), and duties as advisors. Typical duties included: counterintelligence officers and advisors; defense against sound equipment (DASE) advisors; defense against methods of entry DAME) advisors; intelligence analysts; order of battle specialists; and security control officers. 441st Intelligence Corps Detachment experienced personnel problems during 1965, since it was performing the dual role of housekeeping on Okinawa and deploying teams on operational missions throughout Southeast Asia. Serious personnel problems existed, primarily due to shortage of administrative personnel. This resulted in a concentrated program of cross­training selected personnel to perform both administrative and operational duties. On 15 October 1966 under General Order 244, dated 17 October 1966, the 441st Intelligence Corps Detachment was redesignated as the 441st Military Intelligence Detachment (MID) Airborne. The 441st MID (Abn) had the responsibility of supporting SAF Asia missions by compiling timely information in the areas of strategic and tactical intelligence. To meet these requirements the 441st was divided into four basic sections: (1) The Administration Section to provide administrative and supply support to the unit; (2) The Counterintelligence Section to provide the commander with information in the areas of passive intelligence and counter­intelligence, personnel security, document security and physical security; (3) The Military Intelligence Section to provide the commander with tactical intelligence evalua­tion of various areas of interest to SAF Asia; (4) The Area Intelligence Section to provide Strategic Intelligence Evaluation. Personnel were trained in such specialities as imagery interpretation, order of battle, and interrogation of prisoners of war. During the calendar year 1966 441st Detachment personnel participated in nineteen ('19) off island missions. .These included twelve (12) security missions to the 9th Logistics Command. ; Thailand; one (1) liaison mission to "Operation Dropdown" in Europe; two (2) missions to the 5th Special Forces Group (AbnT,Vietnam; two (2) training missions to Korea; one (1) photo mission to Yokosuka, Japan; and support to exercise "Li Ming " .in Taiwan, Republic of China. During 1967 the 441st increased its intelligence support to the 9th Logistics Command in Thailand. Personnel of the 441st Detachment continued to gain valuable experience in the inner workings of counterintelligence activities in the counterinsurgency situation of Southeast Asia. Operations in South Vietnam with the 5th Special Forces Group during 1968 resulted in the unit's first combat death, SSG DALE R. KARPENSKE. The combat operations in South Vietnam provided members of the 441st MID with valuable experience in intelligence support of combat operations. During 1969 and 1970 personnel of the 441st participated in twenty five (25) missions in the Republic of Vietnam with the 5th Special Forces Group. These operational mission consisted of operational order of battle, imagery interpretation and area intelligence. In addition to Vietnam, other unit members were deployed to Thailand, Korea and the Philippine Islands. During 1971 operational missions to Vietnam subsided considerably due to the phase down of American involvement in that area. However, other off-island missions continued in Thailand, Taiwan and Korea. From March 1972 through July 1972, personnel of the 441st MID participated in project Friday Gap, an ATTF to the Republic of Vietnam to instruct Khmer Republic personnel in Special Forces staff procedures. The students eventually went back to Cambodia to become the staff for the Khmer Special Forces. During April 1972, five members of the 441st augmented Detachment A 122 of the 1st Special Forces Group which presented a 30 day period of instruction to the ROK Special Forces. Instructional subjects included the use of intelligence in Unconventional/Counterinsurgency Warfare. In­struction to the seventy ROK officers and NCOs also included aspects of evasion and escape, counterintelligence, counterinsurgency intelligence, order of battle and combat intelligence. From 28 April 1972 to 13 August 1972, ten members of the 441st participated in an intelligence MTT to Bangkok, Thailand. The purpose of the mission was to train a select cadre of Royal Thai Army Military Intelligence Unit per­sonnel in four major intelligence skills: Human Resource Operations, Counterintelligence, Interrogation, and Hand­Held Aerial Photography. A total of 90 students were trained by this MTT. Many were subsequently assigned to Royal Thai Army Divisions operating in the field against the communist terrorists of Thailand. Others were utilized by Thai Police Special Branch in their Bangkok operations against the communist terrorists in the capital city. On 15 May 1972, two officers from the 441st and five enlisted men from other 1st Special Forces Group units deployed to the Republic of the Philippines for a forty five day ATTF mission. The mission of the team was to provide selected intelligence and demolition training to Republic of the Philippines offi­cers and non-commissioned officers. Training was conducted in three phases over a thirty-seven day period. The first week of instruction consisted of counterinsurgency subjects; the second and third weeks covered interrogation, and counter­intelligence; the fourth and fifth weeks covered booby traps and the graduation ceremony. A mission to assist the Republic of China Army in constructing a division level Intelligence Command Post Exercise (CPX) was conducted by the 441st from July 1972 to September 1972. The training team consisted of seven personnel. Working through counterparts, a combat situation was written, using actual Chinese Communist and Republic of China Army order of battle, to conduct a five day CPX. While translations and rehearsals were taking place, a combat intelligence refresher course was presented to player personnel. The actual CPX began with the US team and their counterparts supervising the 84th ROCA Division G2/S2 personnel who conducted the CPX. The mission was considered to be a success for the following reasons: (1) The present state of division level intelligence efficiency was identified, (2) The need for trained intelligence personnel within the division was noted, (3) Areas of weakness within the mechanics of combat intelli­gence were identified, and (4) Future programs of intelli­gence training and their priorities were noted. During May 1972, the 441st deployed one man to Seoul, ROK to assume the duties of G2, Director Headquarters (DHQ) Exercise Foal Eagle FY Planning Staff. It was the G2's responsi­bility to provide the input for the intelligence annexes of the Exercise's general plan and operations order. The intel­ligence input comprised about one third of the exercise's plan and order. One of the G2's major responsibilities was the creation of an escape and evasion (E&E) plan. In October the same individual again deployed to the ROK to serve as the E&E umpire for Exercise Foal Eagle. The training phase was successfully completed and the E&E net operation looked promising. However, the declaration of martial law in the Republic of Korea precluded the E&E operations, and eventually Exercise Foal Eagle was cancelled in its entirety. During the latter part of 1972 and early 1973 extensive Special Forces training was conducted by members of the 441st MI Detachment in anticipation of the approval of the revised MTO&E which would specify that all detachment personnel be Special Forces qualified. From 9 October 1972 through 8 January 1973, mountain training was conducted on Camp Chinen by all members of the 441st MI Detachment. In addition, 441st instructors gave mountain training to personnel from 400th ASAOD, 539th Engineer Battalion and 1st Civil Affairs Battalion. During February 1973, the unit conducted demolitions, land navigation and survival training. On 29 June 1973, under the provisions of General Order 321, CINCUSARPAC, the 441st MI Detachment was reorganized under MTOE 30-500GP301, P30173. The major change in the MTOE was that there was a decrease in Counterintelligence personnel and an increase in Area Intelligence personnel. In order for the unit to be more proficient in supporting the Secur­ity Assistance Teams or a Joint Unconventional Warfare Task Force, it was determined that all personnel of the 441st MI Detachment should be Special Forces qualified when a team was assigned, or attached to an Airborne force. From January 1973 until mid 1974, the detachment participated in Joint Escape and Evasion and Jungle Training at the USAF Jungle Survival School located in the Republic of the Philippines. The detachment normally provided two personnel per class with a total of 17 personnel eventually partici­pating in the joint training. From 15 May through 22 May 1973, selected members from the 441st MI Detachment participated in FTX MAL HOMBRE, conducted in the Northern Training Area of Okinawa. During this FTX unit members acted as guerrilla forces and were under the command and control of a Special Forces "A" Detachment. 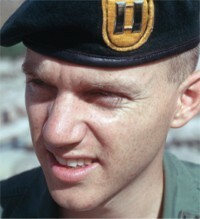 On 25 June 1973, one Warrant Officer and four Enlisted Men were attached to SFOD 3, CO A, 1st SF BN, 1st SFG (ABN), for pre-deployment training, which consisted of six weeks of Korean language training and preparation for deployment to Korea on an Intelligence, Escape and Evasion mission to Korea Special Forces Officers and Non-Commissioned Officers. Training was conducted in eight phases: fifty hours of Order of Battle/Combat Intelligence, twenty-four hours of Interrogation, twenty-nine hours of Special Forces Intelligence Skills, twenty-two hours of Counterintelligence and Security, thirty-one hours of Evasion and Escape, twenty hours of Survival Training with the training culminating in an FTX conducted south of Seoul, Republic of Korea. Beginning in August 1973, the MI Section, 441st MI Detach­ment became OPCON to the Group S-2 in an effort to integrate the intelligence effort in support of the 1st Special Forces Group mission. During September through November 1973, the detachment provided one Interrogator in response to a Department of the Army-directed emergency requisition to support the highly sensitive JCS directed PROJECT 404. In October 1973, the detachment concluded an Intelligence MOS Proficiency Training Agreement (U) with the 500th MI Group. This agreement provided 441st personnel an opportunity to present instruction in support of 500th MI Group's training missions conducted with PACOM countries. Selected personnel from the 441st were attached for special duty to the 500th MI Group with duty station at the US Army Pacific Intelligence Training Activity (PACINTA) in Bangkok, Thailand. From 2 November through 22 December 1973, one Order of Battle Warrant Officer of the 441st MI Detachment was selected to assist the US Army Pacific Intelligence Training Activity Mo­bile Training Team in training twenty Khmer officers in Order of Battle operations. In December 1973, personnel of the 441st MI Detachment participated in boat training on the beaches of Chinen, Okinawa. In addition to regular duty functions, linguist of the detachment conducted language classes for the members of the Japanese Self Defense Force at Site 6 outside Camp Chinen. This training was particularly oriented to those Japanese Self Defense Force Soldiers who were going to Fort Bliss, Texas for further technical training. Additionally Japanese‑American relations were improved through better understanding and exchange of each others culture. The 441st MI Detachment provided intelligence and counterintelligence support to 1st Special Forces Group (Airborne) by providing seven personnel in conjunction with FTX Foal Eagle, a Joint/Combined Operation conducted in the Republic of Korea from February through April 1974. Members of the detachment served at all levels during the exercise to include establishing the Escape and Evasion problem for the operation. In conjunction with the PACINTA MOS Proficiency Training Agreement to provide instruction in support of the 500th MI Group, one individual was dispatched to provide instruction in Imagery Interpretation and Aerial Observer techniques to selected Khmer Fank students. Following the completion of this training, these students were to serve with Fank/G-2, Phnom Penh, Cambodia. This training was conducted during the period 19 February to 11 April 1974. On 22 February 1974, the 441st MI Detachment received message CINCUSARPAC 20223262 FEBRUARY 1974, SUBJECT: PARACHUTE JUMP PAY AUTHORIZATION. This message authorized the 441st a total of eighteen jump positions. On 6 March 1974, an MTOE change was submitted which programmed three Military Intell­igence Augmentation "Packages" in support of OPLAN 5001. These Augmentation packages contained the Military Intelligence specialty skills (Interrogation, Order of Battle, Photo Interpretation, Counterintelligence, and Area Intelligence) necessary for a tactical situation. Language qualification played an important consideration for determining jump positions for the employment and utilization in a tactical environment. In April 1974, the 441st MI Detachment received instructions from Department of the Army, (DA-DAMO-ODS MSG) (C), 0218502 APRIL 1974, SUBJECT: PPGFTROSAFA (SHORT TITLE) (U) to transfer from overseas duty station to CONUS, effective 30 June 1974, with new duty station located at Fort Devens, Massachusetts. Beginning 6 May 1974, the detachment began transfer and turn in of all station property in preparation for redeployment to CONOS. Individuals assigned to the de­tachment were ordered to move under individual PCS orders to the new duty station. Departure of all detachment personnel and TO&E equipment had been completed prior to 15 June 1974. A three man Advance Party arrived in Fort Devens, Massachusetts on 3 June 1974. The Mission of the Advance Party Element was to coordinate, program and develop support for receiving the detachment personnel and equipment as they arrived at Fort Devens. The 441st MI Detachment was attached to Fort Devens, Massachusetts by FORSCOM General Order 1085, dated 27 June 1974. The detachment was further attached to 10th Special Forces Group (Airborne), 1st Special Forces, Fort Devens, Massachusetts 01433 by direction of General Order 231, dated 8 July 1974 as directed by Headquarters, Fort Devens. 10th Special Forces Group (Airborne) served as sponsoring unit in receiving all personnel and equipment at the new duty station. The Summer months of 1974 served as a reorientation period for the detachment in order that the assets of the detachment could reorient from a Pacific area of operations to the Europe­an area of operations. Although critically short. personnel and completely without TO&E equipment until mid August, the detachment sought to develop and increase its support capabilities to 10th Special Forces Group (Airborne). The detachment was temporarily billeted for operations in Building P-653 located on MacArthur Avenue. During the period 25 August to 10 October 1974, the 441st MI Detachment provided four personnel to support Operation FLINTLOCK-1974 conducted in Europe as an annual Field Training Exercise. Detachment personnel were used to augment and support normal operations, as well as providing counterintelligence support to the Special Forces Operational Base (SFOB) located at Bad Tolz, Federal Republic of Germany. A Memorandum of Understanding between the Commander, 10th Special Forces Group (Airborne), and the Commander, 902nd Military Intelligence Group was developed in August 1974 to provide for utilization of detachment counterintelligence personnel to provide support for the 902nd Fort Devens Res­ident Office, 902nd Military Intelligence Group, as a means of maintaining MOS proficiency of detachment CI personnel. The program was first implemented in November 1974, when one individual was provided to support the Fort Devens Resident Office for as initial period of 120 days. The Annual ACSI General Inspection was conducted in December 1974 with the detachment receiving an overall rating of Satisfactory. 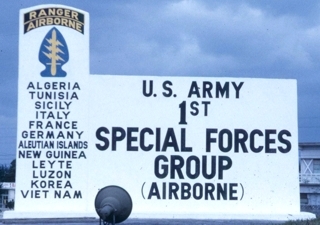 1975 marked the first complete training year for the 441st as a part of the 10th Special Forces Group (Airborne). Since the 10th SFGA was not previously supported by an MI Detachment, it was determined that the 441st could most effectively serve the Group in the role of enemy/evaluators during the ORTT ROADRUNNER I. This afforded the MI Detachment an excellent opportunity to observe the 10th SFGA and to learn their special techniques and operating procedures. In subsequent training, the MI Detachment used diverse techniques to support the 10th SFGA operational elements. Primary among the methods was the practice of providing a MI Specialist to the deploying area command or operational detachments. Additionally, support for various combat elements in the 10th SFGA. While the entire MI Detachment participated in ORTT ROAD­RUNNER I, only selected elements supported the 11th Special Forces Group (Airborne) (USAR) on ROADRUNNER II. Both read­iness tests took place in the Allegheny National Forest of Pennsylvania. During this period, elements of the 441st participated in the Joint UW FTX ALPINE FRIENDSHIP. Furthermore, the 441st MI Detachment participated in a Department of the Army Pilot Training Program by mutually supporting and training the 241st MI Detachment (USAR) under the "One­Army" concept. Before the close of the year, the 441st MI Detachment participated in the annual Reforger Exercise, FTX FLINTLOCK. 1976, the Bicentennial year, evolved as the year of complete assimilation of the 441st Military Intelligence Detachment into the family of the 10th Special Forces Group organization. 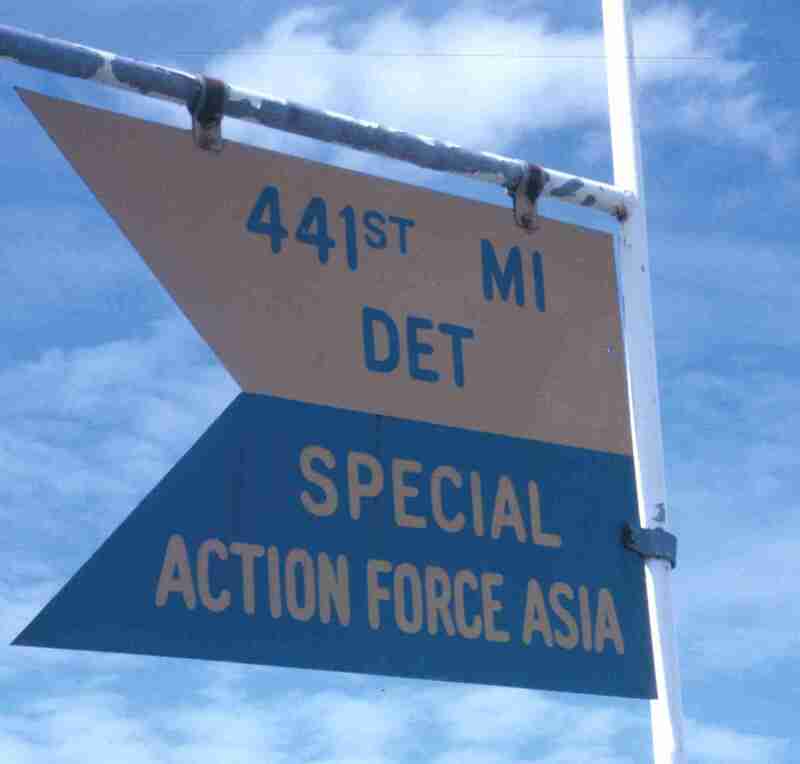 In its assigned capacity, the 441st MI Detachment completely integrated into the activities and operations of the 10th SFGA in all areas, ranging from providing intelligence specialist support during the 10th SFGA ARTEP 76 to the establishment and management of Operational Security at the SFOB during FTX FLINTLOCK-1976. Various concepts of internal organiza­tion and operations were considered and developed during 1976, with the emphasis on providing maximum intelligence support to the family of 10th SFGA units. The concept of bat­talion support teams, representing all of the unit's basic MI skills, was found to be its most productive and flexible means of providing direct, geographical intelligence support. Another major endeavor of the detachment during 1976 centered around the organization of a Current Intelligence analysis and production capability, dedicated to providing additional timely and in-depth intelligence support to the 10th SFGA. The detachment also conducted MI training and assistance in a myriad of military intelligence skills and subjects. NEW - By 1979, the two battalion and one group HQ support teams were known as MI Support Teams or MIST. The MIST provided tactical intelligence, counterintelligence, order-of-battle and imagery interpretation capabilities in garrison and when deployed. In garrison, the MIST continued their intelligence support of the ODA area studies program, JCET briefings/debriefings, and current intelligence evaluations. The 441st MID provided MIST in support of the Group SFOB and two battalion FOBs participating in FTX FLINTLOCK in 1979 and 1980. The MIST also deployed in support of the SFOB and two FOBs during the Group’s ARTEP in October 1979. Meanwhile, unit training focused on MIST and individual skills needed to support 10th SFGA war plans, including affiliation training with the 44th Civil Affairs Company (USAR), Warwick, Rhode Island. The 441st MID was deactivated on 3 October 1980. Its men, and the 402d ASA Det, were reassigned to the newly-organized 10th MI Company organic to the 10th SFGA. Twentieth of August 1944, CHI, AG322 (8 July 1944) OB-1 GNGCT-M, 12 July 1944, Effective 20 August 1944 in Australia, GM IN 2276, Brisbane, Australia Ma, 24 August 1944 (25 August 1944) TO&E 50-500, 1944. January 1962, General Order #76, Headquarters United States Army, Pacific; dated 27 June 1963, assigned to Headquarters USARYIS, and further attached to 1st Special Forces Group (Airborne), 1st Special Forces, Okinawa. Distinguished Unit Citation (Army) (2 Jul - Sep 50), GO 45, HQDA, dtd 22 December 1950 and GO 77, HQDA, dtd 5 Sept­ember 1951. Presidential Unit Citation (Navy), (15 Sep - 11 Oct 50), GO 63, HQDA, dtd 26 June 1952 (for personnel specifically named). Presidential Unit Citation (Navy), (21-26 Apr, 16 May-30 June, 11- 25 Sep 51), GO 38, HQDA, dtd 30 July 1957. Meritorious Unit Commendation, (21 Mar - 15 Nov 53), GO 22, HQDA, dtd 30 March 1954. Navy Unit Commendation, (11 Aug 52 - 5 May 53 and 7-27 Jul 53), GO 38, HQDA, dtd 1957. Philippine Presidential Unit Citation, (17 Oct 44 - 4 Jul 45), GO 47, HQDA, dtd December 1950. Korean Presidential Unit Citation, (19 Sep 50 - 31 Jul 52), GO 41, HQDA, dtd 1955 (for Port Detachment only). INACTIVATION: In September, 1980, the 441st Military Intelligence Detachment was inactivated at Fort Devens, MA. Members of the unit were reassigned to the 402d Army Security Agency (ASA) (SOD) and merged into the 10th Military intelligence Company. The unit colors were furled for the last time. (Information from David D. Perkins, LTC-Retired). Kevin O'Brien, a member of the 441st at the time noted, "It is always a sad thing to furl a flag, and you will be pleased to know that the 441st MID went out with the same high standards and panache it always had in operation." Many visitors who wish to obtain official military records may do so by contacting: National Archives and Personnel Administration, National Personnel Records Center, 9700 Page Blvd. ; St. Louis MO 63132-5100. This facility is an official US government agency. The project is an educational one dedicated to the unique men (and now women) who served and are serving in this outstanding unit from the activation of the unit until 1980 - and through World War II, the occupation of Japan, the Korean War, the Vietnam War, and the Cold War. In January 2006, the 441st was re-activated as a provisional unit at Camp Zama, Japan.